4.15 am Mangala Arati followed by temple parikrama and morning discourses. 10.00 am Kirtan and discourses from Chaitanya Charitamrita. 11.30 am Bhoga-Arati followed by discourses to continue until 1.00 pm. 3.30 pm Temple opens with kirtan. 4.30 pm Discourses to continue till evening Arati. After evening Arati chanting in front of Deity until Shayan Arati. 4.15 am Mangala Arati followed by temple parikrama. 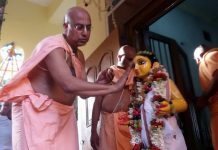 Afterwards will start immediately for Nagar Sankirtan from our temple to Srila Prabhupada’s appearance place (Sri Chaitanya Gaudiya Math), Gambhira, Shweta-Ganga, Siddhabakul, Tota-Gopinath, Haridas Thakur’s Samadhi etc. Return to temple. After Bhoga Arati discourses will continue until 1.30 pm. 3.30 pm Temple opens with kirtan followed by discourses from 4.30 till evening Arati. 4.15 am Mangala Arati followed by temple parikrama. 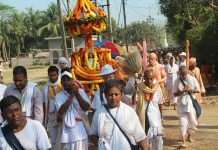 Afterwards will immediately start for Nagar Sankirtan from our temple to Sri Jagannath-Ballabh Uddyan, Narendra-Sarovar and Ãthara-Nala (18-Nala) then return to our temple. 4.30 pm Discourses will continue till evening Arati. 4.15 am Mangal Arati followed by temple parikrama. Afterwards will immediately start for Nagar Sankirtan from our temple to Gundicha temple for cleaning seva. Then we will take darshan of Srila Bhakti Vaibhava Puri Goswami Maharaj’s temple and Lord Nrisimhadeva temple. Following this we will take bath in Indradyumna Sarovar (lake). Return to our temple for cleaning our temple also. 4.15 am Mangal Arati followed by temple parikrama. Afterwards will immediately start to perform a Narasimha-Yagna for clearing all our present obstacles. 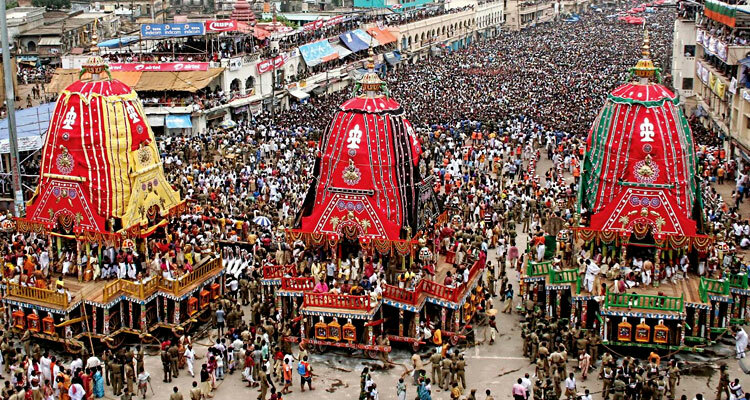 After lunch (noon prasadama expected at 12-noon) between 12.30 to 1.00 pm we will start for attending Jagannath Ratha Yatra with sankirtan from our temple campus. 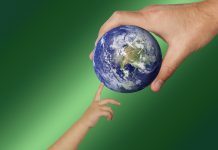 4.30 Discourses will continue till evening Arati. 4.15 am Mangal Arati followed by temple Parikrama. Afterwards will immediately start for Nagar Sankirtan towards Jagannath Chariot (Ratha). Return to temple before 9:00 am. 10.00 am Kirtan then discourses from Chaitanya Charitamrita. 11.30 am Bhoga-Arati followed by discourses that will continue until 1.00 pm. 4.15 am Mangal Arati followed by temple parikrama and morning discourses. 10.00 am Kirtan followed by discourses from Chaitanya Charitamrita. 11.30 am Bhoga-Arati and then discourses will continue until 1.00 pm. Pls send me ur all detail gopinath temple varindavan.